Contemporary and stylish matt black finish steel log holder with hand turned solid brushed stainless steel handle. It simplifies stacking logs beside your fireplace or woodburning stove and makes for a stunning display. Logs from your woodstore can be placed in the holder and easily transported to your fireplace. 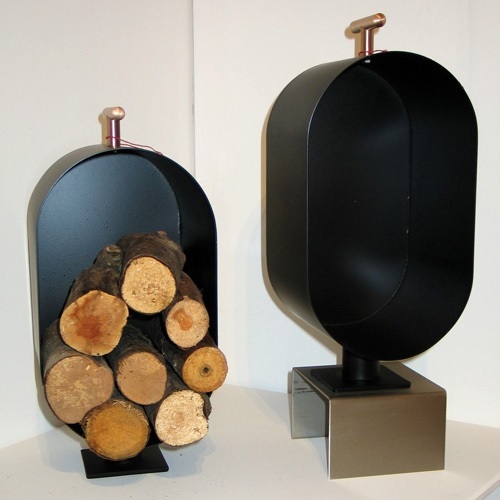 Two sizes of log holders are available to suit different sized fireplaces. Please contact us for further information email: info@pmfdesigns.co.uk .